Dusty Pink at a whole new level. Say hello to the SWEETHEART JUMPSUIT. 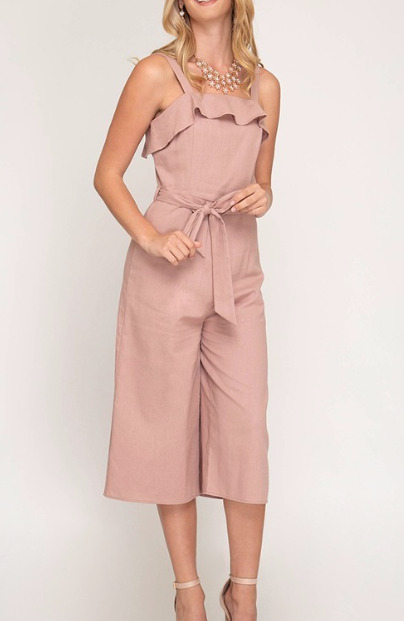 Ruffle detail, waist sash, gorgeous and flattering flare cropped pant, zip up back and a more fitted top to give you all the right curves.